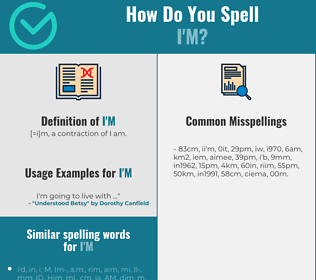 How Do You Spell I'M? Correct spelling for the English word "I'm" is [ˈaɪ_m], [ˈa͡ɪm], [ˈa‍ɪm]] (IPA phonetic alphabet). 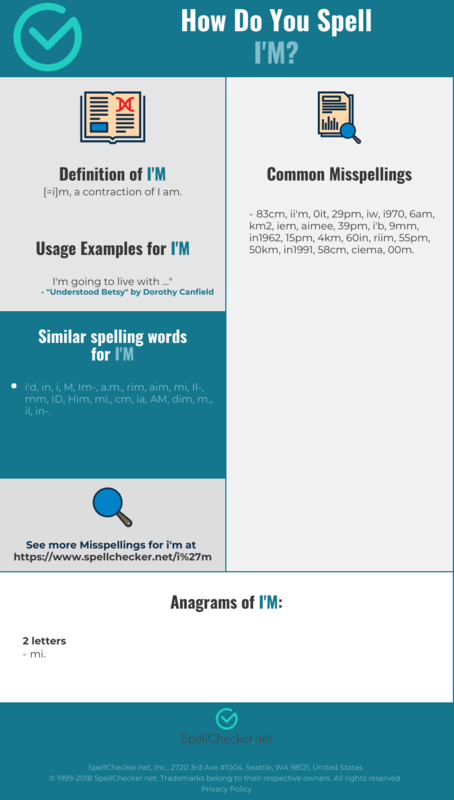 Below is the list of 481 misspellings for the word "i'm". [=i]m, a contraction of I am.